More cabinets in the kitchen can really come in handy. 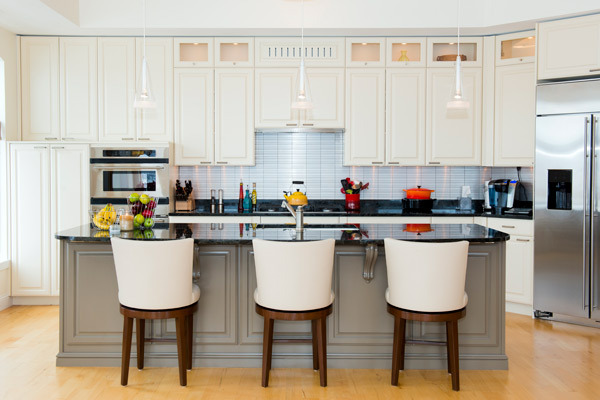 While numerous options are available, you should seriously look into installing custom kitchen cabinets that are built to your precise specifications. Most cabinets you find at a normal store are mass-produced, so they will not last as long. With custom cabinets, you can be confident it is made with the utmost care. They will last for years and look fantastic. You do not have to be stuck with a certain color or style with your cabinets. If you have something specific in mind, then communicate that with your contractor. Our experts will work hard to give you exactly what you ask for. There is always the risk that general cabinets are not going to fit within your kitchen dimensions. With custom cabinets, precise measurements are taken, meaning they will fit perfectly without issue. When it comes time to sell your home, you want as many selling points as possible. Standard cabinets are not going to capture anyone’s imagination. However, custom cabinets could end up being a major selling point. You look inside your kitchen cabinets every day, so it only makes sense to get some you absolutely adore. To discuss your needs, contact Huntsville American Cabinets today.